← How to replace text in PDF by overlay text? VeryPDF PDF Editor has been updated to Version 4.1 and the new version allows you to edit PDF basic information and then set password to protect them in batch. By the new version, it overcomes the batch processing limitation in the older version. In this article, I will show you how to edit PDF and then set passwords of owner and open to protect the output. Without the help of software PDF Editor, the process can not be done. So first download and install it. Please rest assured the downloading and installation are totally free and there is no virus in the downloaded package. When downloading finishes, please install it by double clicking the exe file and follow the installation message. Once the installation finishes, there will be an icon on the desktop . Simply click the icon then you can launch this software. Please launch PDF Editor whose software interface is like the following snapshot. Please add PDF by clicking option Open. Once add PDF file to software interface, you can edit content, stamp PDF, edit links , add comments and so on so forth. Once editing finishes, please click option File then go to Save as. Please save it as a new PDF file. When you need to edit PDF basic information, please click option File then go to option Batch PDF Editor Tool. 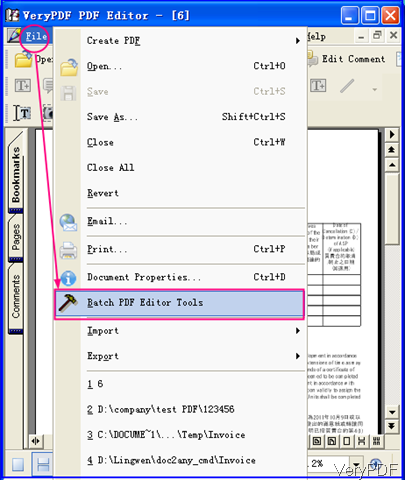 When you click that option then you will see the Batch PDF Editor Tools software interface. 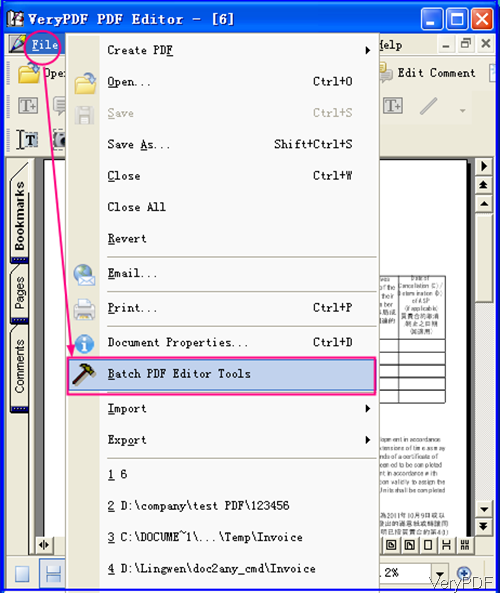 By clicking Add button to add PDF files to software in batch. Meanwhile please specify the output folder. There is button is greatly important Option. Please click it then you see the following menu option. There are many option tabs, when you need to edit PDF basic information, please go to the first tab. When you finish editing, please go to the Security tab which looks like the following snapshot. Here we will put emphasis on this step. The encryption methods can not be apply to all version PDF file. As this software set password according to your PDF version. And there is one encryption level128-Bit-AES. By this software, you can choose to encrypt which part of PDF document:all the content, all except metadata and only the attachment. There are two kinds of passwords you can add: Document Open password and owner password. When set owner password, there are many sub options for you to choose, like disable printing or others. By this method, you can edit PDF and set password for them in batch. During the using, if you have any question, please contact us as soon as possible. How to split multipage PDF and set password for each PDF? How to batch convert PowerPoint to SWF? This entry was posted in PDF Editor and tagged in batch, set password. Bookmark the permalink.